The UFC President and the mercurial Irishman were not happy with the broadcasting giant’s official press release. “When we did the Mayweather fight, I watched and took it all in, I just think all these guys, the guys who are promoting boxing today are bad at it,” White said (via MMAFighting.com). “I don’t think they do a good job, and I think I could do better. It sounds arrogant, but it’s the truth. I think I could do a better job than these guys do. Sounds like he's upset because we committed the cardinal sin of telling the truth (when we released the accurate total for N. American PPV buys on MayMac). “Sounds like he’s upset because we committed the cardinal sin of telling the truth (when we released the accurate total for N. American PPV buys on MayMac). Strange that telling the truth, in a press release vetted by all parties in advance, is something to be “despised” for,” Espinoza wrote. “Shut your weasel mouth. Who gives a f*ck about the North American numbers when we are the GLOBAL KINGS you shmuck. WORLDWIDE. No.1!,” McGregor stated, in a post aimed at Espinoza. It is not the first time that Conor McGregor and Stephen Espinoza have clashed. During the presser for Mayweather vs. McGregor, the Dubliner made accusations against the Showtime executive, claiming that he had cut his mic out to prevent him from interrupting Mayweather. “Not only to the sport but to the other fighters,” White said. “This is game of time. Time is your enemy in this sport or any other sport. When you’re a professional athlete, time is your enemy, and we can’t let this thing go on forever and not give other guys the opportunity. Tony Ferguson has been around for a long time and has earned his dues, Khabib has earned his dues, and the list goes on and on. 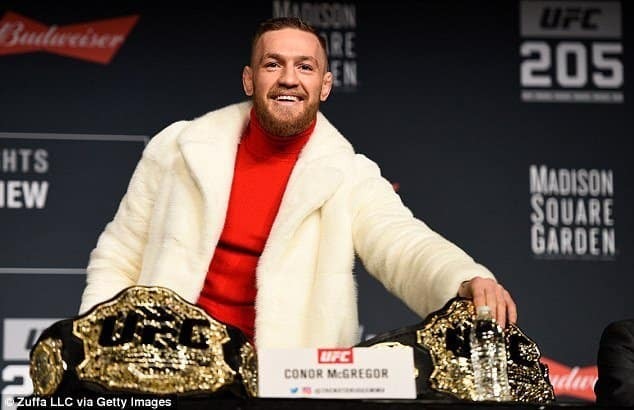 So, Conor has done very well, he’s made a lot of money, and if he decides that he doesn’t want to fight again for another, however long, that’s up to him. That’s his choice and his decision. But the belt has to move on, so we’ve gotta figure some stuff out about him in the next couple of months.